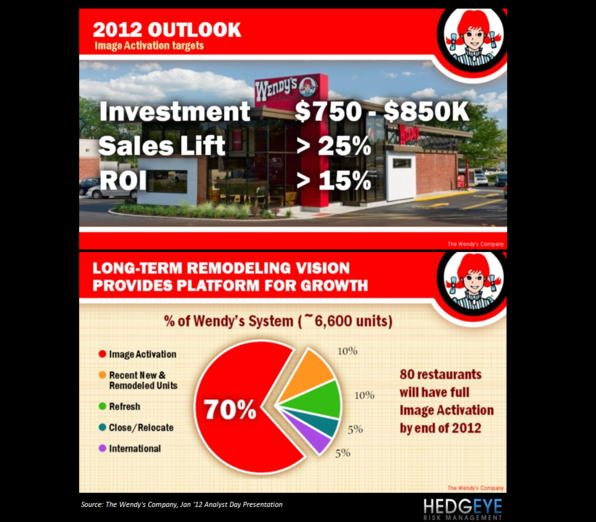 CEO says Wendy's franchisees were "very, very supportive "of the plans. Yeah, sure, all the franchise suits say that! Does that slide say a 25% sales lift from a remodel? Wow, five times what a McD remodel yields?